This was based on a 1955 Lincoln Futura concept car, which was built at a cost of $250,000. 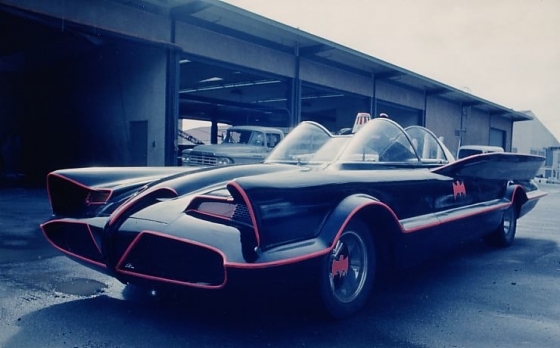 Conversion to the Batmobile reportedly cost about $30,000. 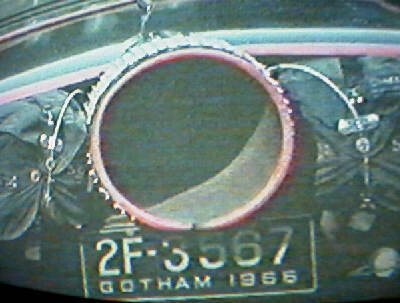 The original 1966 Batmobile sold at auction for $4.2 million in January, 2013. By far, the coolest superhero car ever built. Thank You for the information, I never knew about the License Plates. That would be a good Trivia Question. A little trivia. 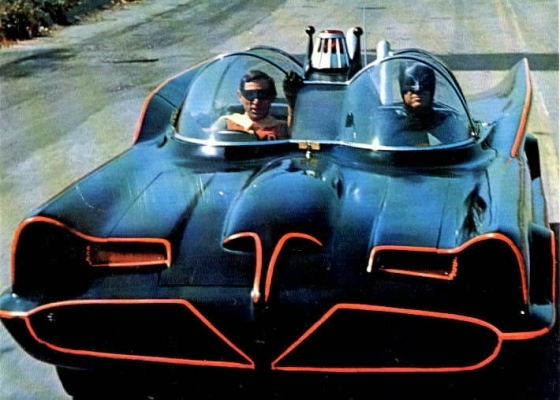 George Barris also designed the Batmobile for Tim Burton's Batman with Michael Keaton and Jack Nicholson. I grew up in Southern Calif. and worked at the Gulf gas station across the street from the George Barris' shop. 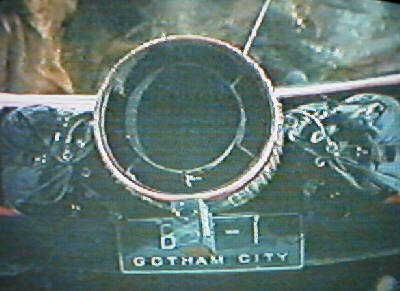 There were about (+/-) 4 Batmobiles that I remember. They had built a few TV cars, one show car and, the one I liked, was a black velvet with fluorcesent orange pinstripping tape. I always kept my eye on the shop because you never knew what kind of car was coming out of there. Just up the street, was a 'Amphicar' dealer. I stopped in there one day, and took an 'owners manual' out of the glove compartment. I was wanting more information than the salesman had. Still have it somewhere. I did make some notes in it too. Did anyone ever get the lisense plate # ??? 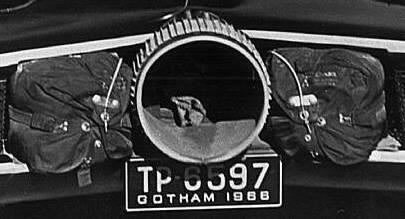 Dad said there was a $500 pool if you could read the license plate # on the Batman show....it was flashed for a nanosecond !! Back around 1966.